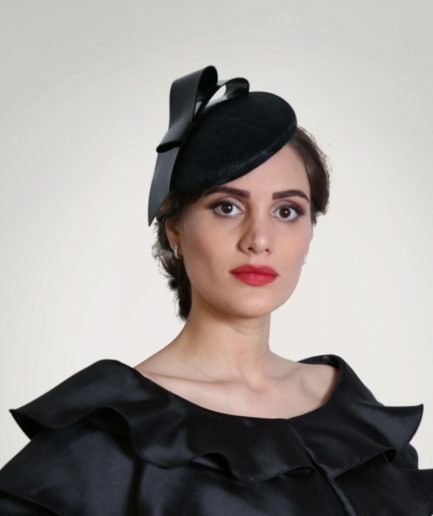 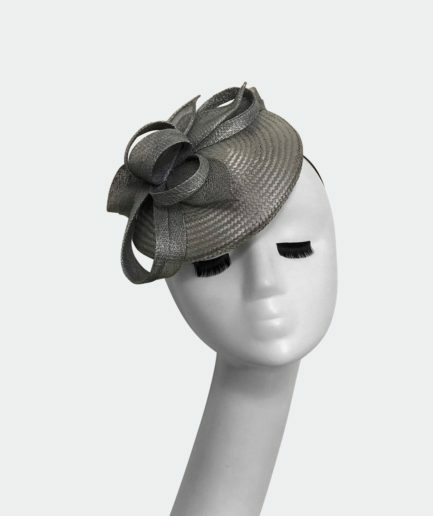 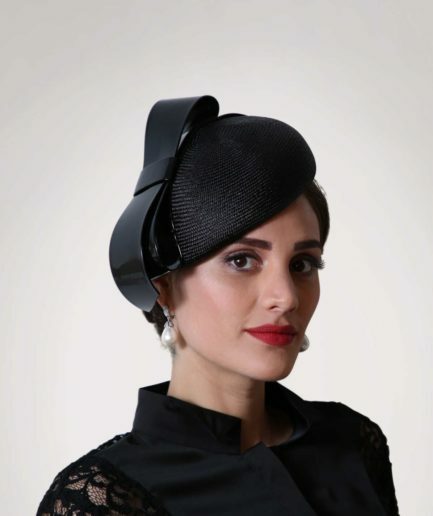 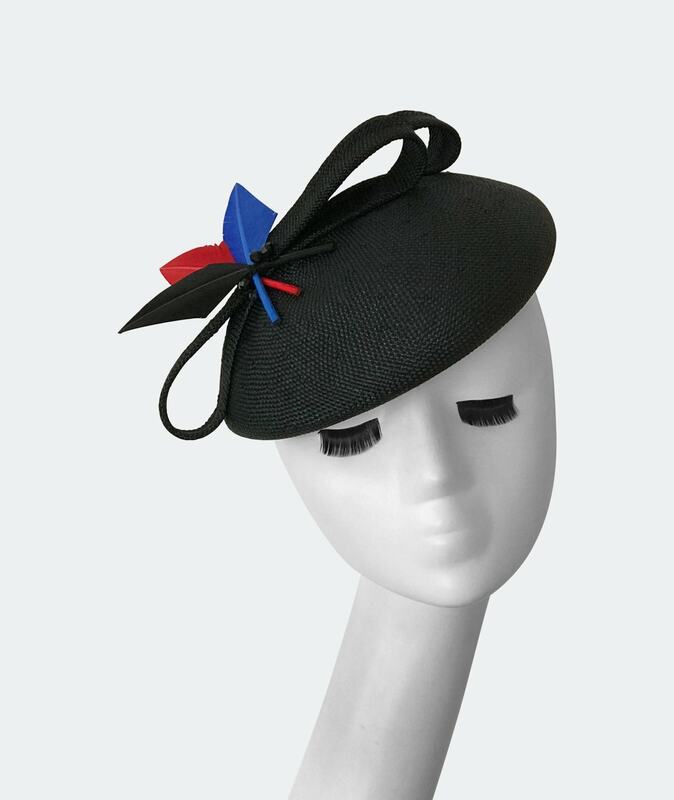 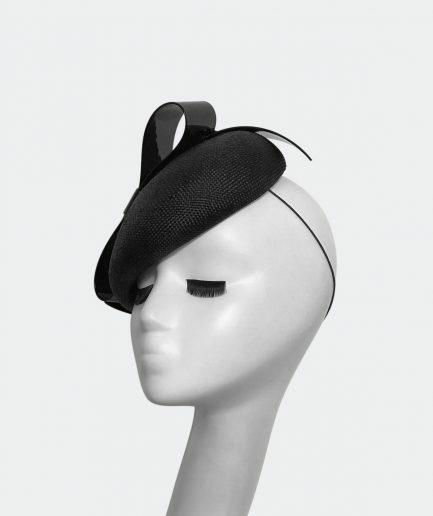 A unique handmade fascinator designed to sit at an elegant angle towards the right side of the head. 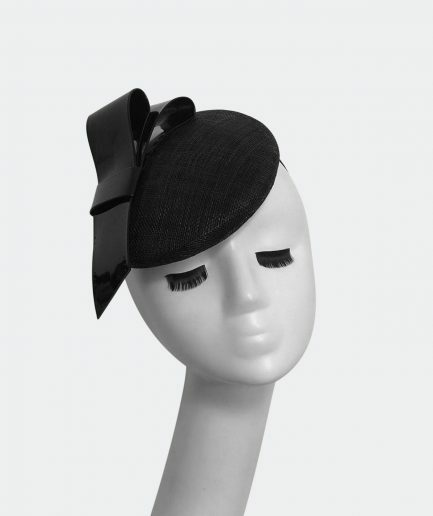 It has an elastic attachment which sits comfortably behind both ears, under the hair for a disguised hidden and glamorous look. 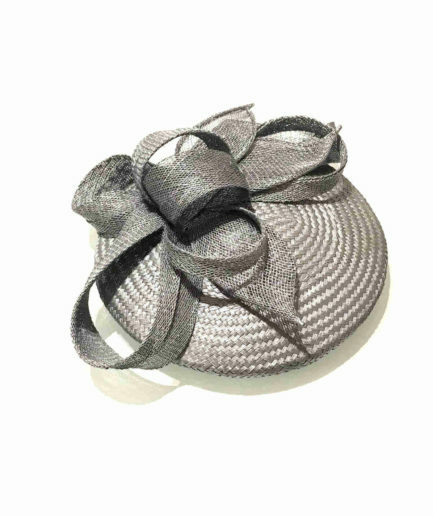 *Headband and clips can be an alternative option on request at times and colour attachments can be matched according to colour of the hair. 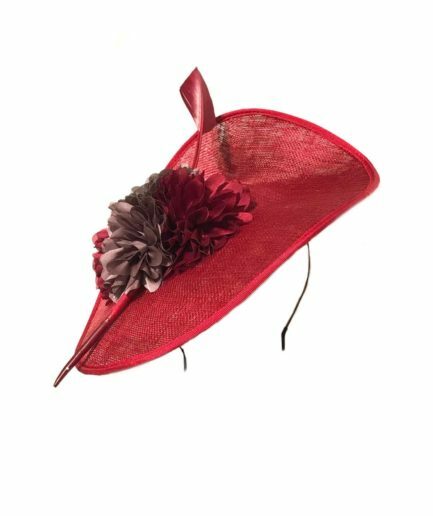 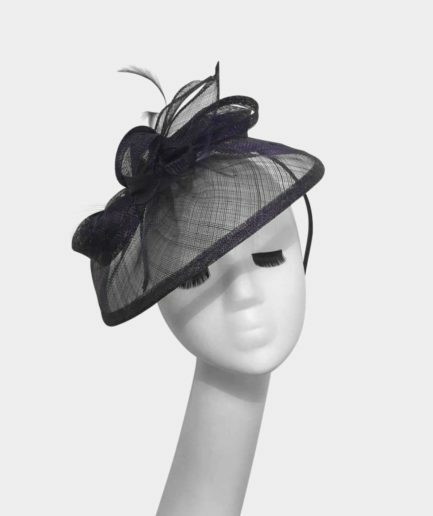 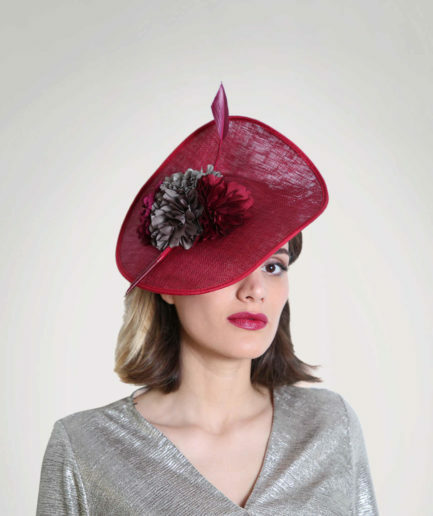 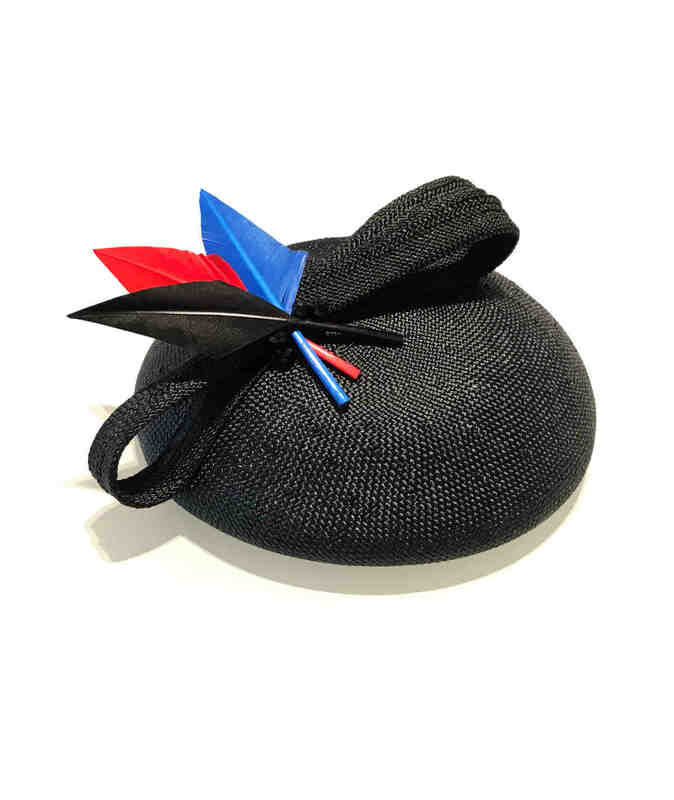 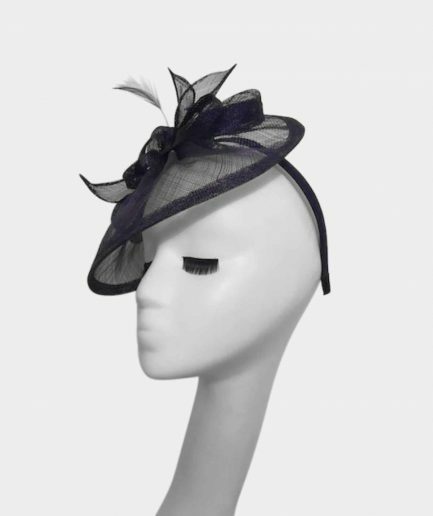 The fascinator is made from visca straw, a delicate fibre it should be stored in it’s hat box or protected cover.